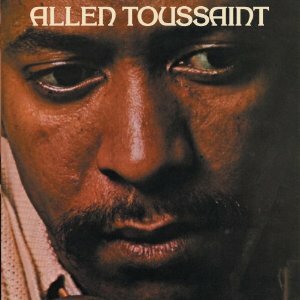 With a tropical weather system churning in the Gulf of Mexico and drenching south Louisiana for the weekend, what better Song of the Day than the unofficial national anthem of the state of Louisiana, “It’s Raining,” sung by national treasure Irma Thomas and written by Allen Toussaint, who produced the song for Minit and played piano. Toussaint is making his official debut at this month’s 10th annual Ponderosa Stomp, though he has been spotted in the audience at previous Stomp-related events. The Thomas-Toussaint partnership included several other major songs, such as “Ruler of My Heart,” which was later reinterpreted by Otis Redding as “Pain In My Heart.” Imperial Records acquired Minit in 1963, and a string of successful releases followed. These included “Wish Someone Would Care” (her biggest national hit), its B-side “Break-a-Way” (later covered by Tracey Ullman among others), “Anyone Who Knows What Love Is” (co-written by the young Randy Newman), and “Time Is on My Side” (a song previously recorded by Kai Winding, and later by the Rolling Stones).